The Elevator 1800 lb. air lift is a 40" high rise heavy duty motorcycle lift table. It carries a 2 year warranty and is built beautifully. There is no better lift built anywhere. 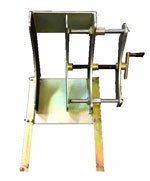 Rubber lined adjustable wheel vise for Elevator Series Lift Tables. The 10019 Elevator 1800 Side Extension Kit accessorizes the Elevator 1800 Motorcycle Lift. Side Extension Kit extends lift width to 56". Includes 4 side panels and 2 loading ramps. The 10019 Elevator 1800 Side Extension Kit accessorizes the Elevator 1800 Motorcycle Lift. Side Extension Kit extends lift width to 69". Includes 4 side panels and 2 loading ramps. Fits Elevator 1800 and Elevator 2000 model lift tables to extend either front or rear. 68" w x 24" l.
1 panel extends lift table to 112". Note: Must be used with 68" side extension package. 2 Panels Fits Elevator 1800 and Elevator 2000 model lift tables to extend front and rear length. 2 panels extend lift table to a total length of 134". The 100268 Service Jack with Riser Kit accessorizes the Elevator 1100 Motorcycle Lift. Wheel kit and dolly for Elevator lift tables. This Wide Jack allows for extra stability. TOTAL OF 4 YEARS WARRANTY. The Elevator 1800 lb. 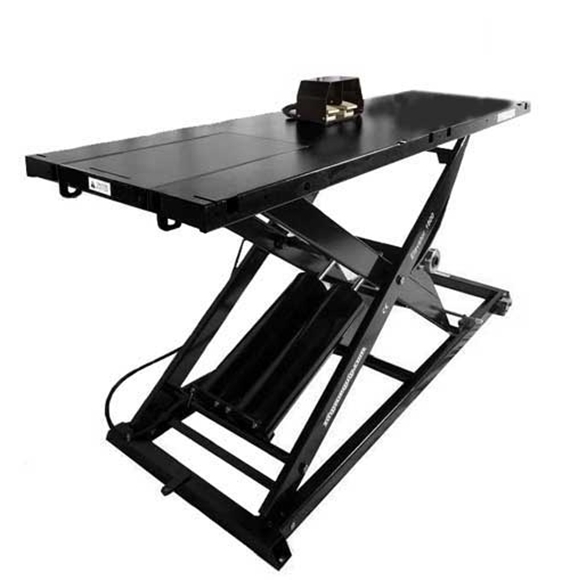 air lift is a 40" high rise heavy duty table. It carries a 2 year warranty and is built beautifully. There is no better lift built anywhere; both the design and craftsmanship will blow you away. Elevator lift tables are made with thick 10 gauge steel, rugged enough to handle the heaviest vehicles. 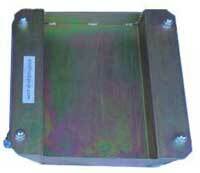 We start with a quality frame and rectangular base, a footprint that ensures safety in lifting and safety in working. The base frame is fitted with a tow bar that accepts a wheel dolly, the base frame is also pre drilled with to accept a wheel kit which allows for easy placement and storage. A safety locking mechanism is built into the base with 4 and 5 settings, depending on the model, to adjust to your height. Includes a completely adjustable quick lock wheel chock allowing the table to handle bikes of all kinds. Front and rear drop down panels are a huge asset when performing tire service. Optional accessories include a slide in 4 piece side extension kit and 2 piece ramp set measuring 42" for easy loading, a service jack, dolly and wheel set for portability, front extension and rear extension. Both Rear and Front wheel drop down panels makes service work easy. Several of these options allow the lift to handle motorcycles, as well as trikes, spyders, ATVs and some UTVs, mowers, snowmobiles, and golf course equipment etc. I love the lift. It is perfect for working on mowers, snowblowers and motorcycles. I wish the motorcycle ramp was a little longer as pushing a 1000 lb motorcycle on the lift is challenging. I was told by a friend that I should try doing it while standing on the side and putting it in gear and assist it while it's running. I'm a little hesitant to do this though. Other than that it works great ! The lift is working good. I love it !!! The air piston design is the BEST. I lifted and lowered the lift over 10 times !!!! Setting it up, my compressor did not cycle 1 time !!!!! My other 2 lift have air behind piston which is VERY POOR and an incredible WASTE OF AIR ! SECOND SHIFT CYCLES will be REPLACING the OTHER 2 LIFTS which 1 is a HANDY LIFT and other is DIRECT LIFT . By far at this point . Time will tell. But this ELEVATOR 1100 IS A SUPERIOR LIFT . thanks again looking forward to MANY YEARS OF BUSINESS WITH YOU. Great.... makes life alot easier. Thanks guys, this was a great buying experience for me,.....got just what I needed with quality and workmanship I haven't seen in other lifts. 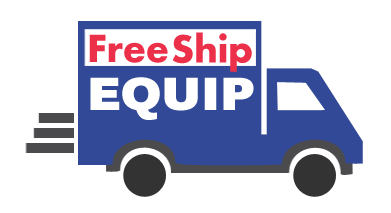 It works perfect and will pass my words of praise about NHPROEQUIP.COM to others. It's awesome!! It is a very well built and smooth fast lift and lowering! I love it!! Thanks !! Lifts ! Best tool in my shop! Great so far! Haven't had a chance to work on it as much as I would like but it is a great tool that I wish I'd had years ago! Awesome - we have the Cushman Truckster on there now. It works nice and smooth as Bob said it would. I am not a mechanic but enjoy wrenching on my own toys. I research for a while, as everyone does these days, before pulling the trigger on this purchase and am very confident I made the right choice. Lift is to quality and Bob was accommodating, great custumer service. Been using the lift I got from NHPro for a few months, works awesome!  very happy with it. Also referred a friend to buy one because he liked it. I set up the lift up first thing Tuesday morning. I used it everyday and works great. As you said it would work on my 20 gal air compressor and it does. The straps I bought absolutely do the trick ( no more excess straps ). Thanks. I love the lift, use it all the time and very happy with the tool boxes that I got from you too! All good. Had the bike up on it most the winter. Really enjoying the lift and it’s functionality! Works great,excellent value. ATVs, UTVs, golf carts, mowers and snowmobiles have been on this lift. Should have gotten a long time ago. Thanks for the excellent customer service. Best thing ever, a real back saver. Lift's great, really is, couldn't be happier with it! Thanks again. Love the Lift Elevator 1800. Makes detailing and working on my Spyder RTL so much easier not having to constantly be bending over. Great - I love it. Great guys to work with. I ordered a motorcycle table lift a year ago and since day one had a problem with the wheel chock. I tried to fix it myself a few times but the problem kept happening. Nhpro addressed the problem and went well above what they had to do and well above what I had even asked them to do to address the issue. Also, the original purchase was smooth and they were very helpful in helping me determine what product to choose. It’s working out well. Probably going to get another one in the spring. The lift is awesome! I use it every weekend!! It’s been great. It’s very sturdy for my touring bikes. The lift is awesome. Thanks again. Love the lift! It's used every day in the shop. When I'm not using it for smaller equipment, I am using it as a teardown table!